On Saturday vs. Newburyport we got our second win, 5-4, with a walk off come-from-behind victory in the bottom of the 7th. 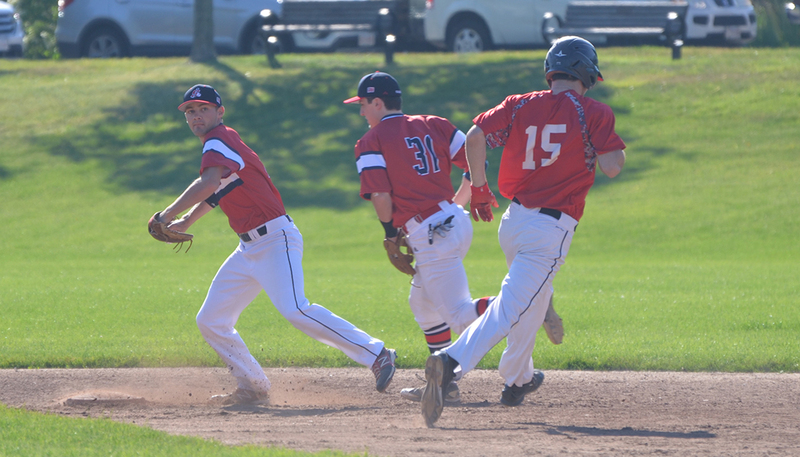 Liam Tubridy drove in the tying and winning run with a solid single up the middle. Joe Maguire pitched 3 innings of shut out relief. Ryan Kelleher hit a run scoring double in the bottom of the 7th. We turned 4 double plays with Payton Janscy being in the middle of 3 of them. This Saturday before our 5pm game vs. North Reading The Seasiders will be honoring the 100 year anniversary of the Grandstand. Tommy Roundy will be the Master of Ceremony for the event honoring his Dad, Elliot, and The Grandstand. Dave Rodgers, one of the leaders of the Save the Grandstand campaign in 1990 will throw out the first pitch and several of the Yachtsmen who were on the last Marblehead team in the NSBL will be there.